This room is a ten-mat tatami room and used as our office and night duty room. It was written “office” in the old blueprint. We put some pieces of old equipment in this room which were used in the factory. We’re happy if you can feel relaxed and comfortable here. The next room was used for packing the goods for shipment. You can see the wooden pillars and the mud wall smoke-sooty, for the stuff were working with a coal stove in the cold seasons. We hope you can enjoy teatime in this different type room with tables and chairs. Cafe open hours may be changed depending on the season and peripheral events. Please confirm with SCHEDULE or NEWS. 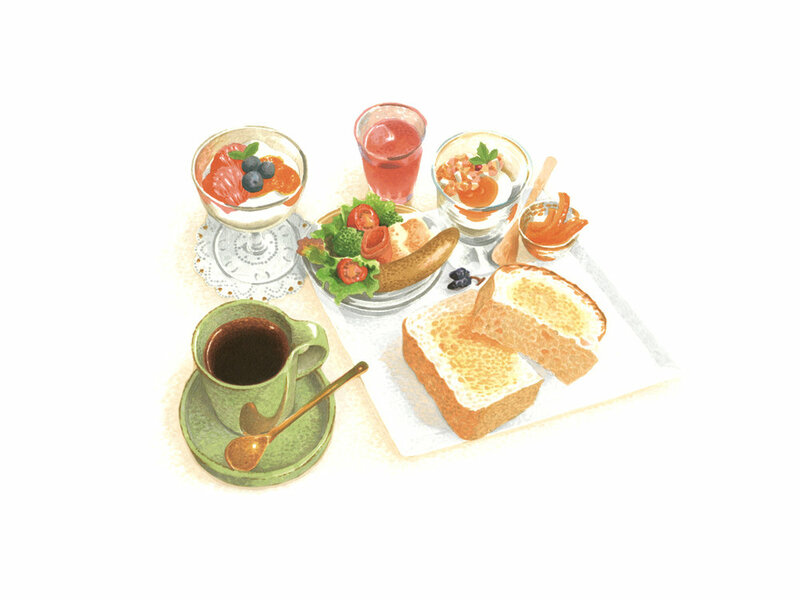 We hope you enjoy your precious morning time at this café Kojoato-Jimushitsu. You can reserve seats for morning set menu through the button below. Tea making dates back more than 1,200 years in Nara and Nara is still one of the major Producers of tea in Japan. Buddhist priest, Kobo-daishi brought tea seeds from Tang Dynasty China in 806, and he planted them in Nara.In Japanese, the place in the house where all family members gather is called chanoma,Meaning” a place of tea. ” The refreshing aroma and pleasant flavor give comfort to the mind and body and leisurely moment of pure relaxation.Please enjoy kinds of Yamato tea here. Copyright kojoato all Right Reserved.